Ready to pop the question? Here's what you need to know about asking for your partner's hand in marriage. Asking your partner’s parents for their child’s hand in marriage is a time-honored tradition but many couples wonder if it’s still relevant today. While it might feel outdated in modern culture, there are many ways to embrace this tradition on your own terms. 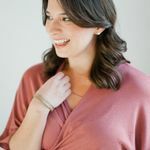 Wedding officiant and relationship expert, Leslie Ann Johnson of Positively Charmed weighed in on five key questions to consider before the big conversation that will set your proposal off on the right foot. Here’s everything you need to know about asking for your partner’s hand in marriage. Is this tradition still relevant? Speaking with your soon-to-be fiancé(e)’s parents and asking for your partner’s hand in marriage is a tradition that can be both relevant and a defining moment in your relationship. It serves as a powerful opportunity of emotionally relating on a deeply personal level with the people who are about to become a new and important part of your family circle. If you’re a man asking a woman’s parents for her hand in marriage, the whole tradition might feel inherently sexist—and in some ways it is. But think of it as starting things off on the right foot with your future spouse’s parents. Asking for “permission” honors the parenthood of the one you love and will be a sweet memory for your partner’s loved ones. Do I have to ask for permission? While 70 percent of proposers still ask for their partner’s hand in marriage, many couples take a more contemporary approach to the traditional conversation. If you’re not asking for permission, you might consider what your personal intention is; why do you want to have this conversation and what’s the message you wish to convey? If your decision to speak with parents before proposing is simply made out of honor and respect, then you can approach the meeting with language that conveys that message. Some partners feel as though they have already been “brought into the fold” of their new family and to meet in this context has a heartfelt, fun twist on formality. Some wish to show their admiration as they have already been establishing a strong connection, while others may be hoping to strengthen their bond. Remember to express the truth of your own feelings and intentions. Who should I include in this conversation? 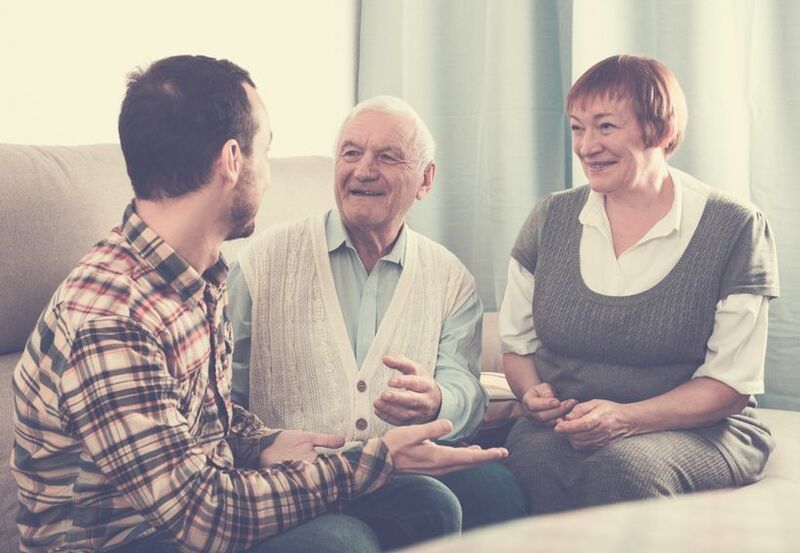 Whether you meet with both of your partner’s parents, or go old school and meet alone with your future father-in-law is a personal decision based on the dynamic of your relationship and the sensibilities of the parents as a couple. If your future in-laws are a bit more traditional or conservative it may be expected that this is a moment meant for the father alone. However, parents who are perhaps more outspoken concerning egalitarian values might be even slightly offended by what is perceived as outdated roles. Some of these nuances can be observed in how family gatherings unfold. For example, what typically happens after a family dinner? Do the conversation and activities take place with everyone involved or does the family separate by gender? What is your personal relationship to with the parents individually? It may be that you feel closer to either the mother or father of your intended fiancé(e) and this is a chance to form a stronger bond with both by including them together in your conversation. When it doubt, err on the side of asking both of your future in-laws, either at the same time if they’re still married, or separately if they are divorced or separated. When and where should it happen? If parents are local, meeting in-person for this once-in-a-lifetime conversation is definitely ideal. However, if meeting in-person is not possible due to long distances, schedules, or finances then a phone conversation works just fine, but remember that it is a good idea to consider the best date and time for the call. This involves a bit of forethought into their lifestyle and timing. For example, calling parents on a weeknight after work is much different than on a weekend morning after brunch or before the big game. When they answer the phone, be sure to ask if it’s a good time to talk. While this may seem obvious, it can be easy to forget when nerves kick in. While there’s no need to prepare a formal word-for-word speech, it’s good idea to think through your opening of what could otherwise be an awkward conversation. Something simple and respectful like, “I’m planning to ask your (daughter/son) to marry me and I am hoping for your blessing” is a great place to start. Of course, be sure to express how much you love their child and your excitement to take this next step together. 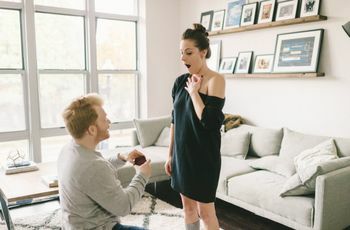 If you’re looking for further conversation material, you can fill them in on the details of your proposal gameplan and let them know when to expect the official big news. Bonus brownie points if you mention how lucky you are to be gaining a great set of in-laws! Whether you consider yourself a strong traditionalist or don’t mind marching to the beat of your own drum, involving your soon-to-be new family on your intentions to propose can be a deeply meaningful gesture that won’t go unnoticed. Remember to simply speak from your heart and a memorable experience is sure to follow.